Did anyone tell you that you could monetize your links? 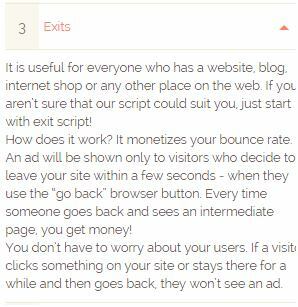 Hell, even the Bounce rate of your blog could be monetized? Or what if I tell you can monetize even your Social Media Profiles? Well yeah, each of them is possible, and no you don’t need to invest hundreds of hours working on them, or either a single penny. That’s what Shorte.st let’s you do. It let’s you monetize just about everything I named in the first line, and even has the potential to become your automated money making machine. Let’s take a deeper look into Shorte. st and why would it pay you or how you can double-triple up your earnings or at least start making your first dollar online! 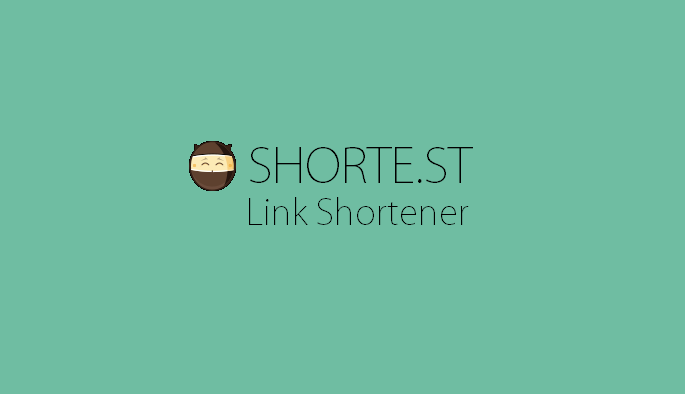 Shorte.st is a URL shortening platform.It pays you for the number of clicks on your short URL. Why? Well, because it makes money for the number of clicks too, from advertisers. So it pays you because you are the one who brings in the traffic, so it’s like you get a share of whatever it makes from the advertisers. Once you do, you can start shortening URL’s using the shortener located at the top bar. Just spread these short links anywhere, yeah just about at any place and see the money roll in! A legit question, why shouldn’t you be going with Adfly or any other URL shortening Service, huh? Let me answer that for you, well because with shorte.st you’ll be getting Insane commission rates! Yeah, okay let me make this practical for you. And hey, if you do have a Website, in that case, you won’t even believe the magic it can do for you. You get enough clicks on your site links, comments and everything else right? Well, shorte.st let’s you monetize that too! 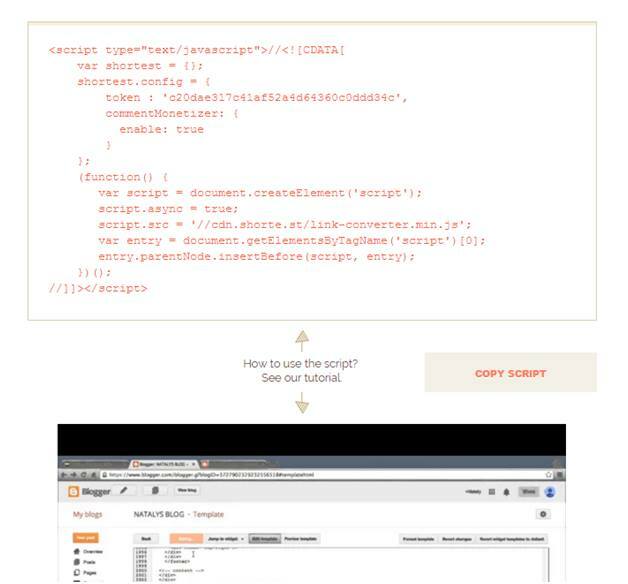 Website Scripts: – Yeah every URL shortener got Website scripts, but none are as smooth, spam-free or advanced! What a website script from Shorte.st let’s you do is it starts monetizing every hit on your site! You can customize it’s timings, put it on Exit-intent, have the option for Capping and what not. In short, it’s like a super advanced money making machine for you right there. Refer & Earn:- You know what? You don’t even need to Shorten URL’s with Shorte.st! You just refer couple of your friends how to use Shorte.st and how it can make money for them. Then you make them join the program using your link, and shorte.st will be grateful to you forever! You’ll be paid 20% of whatever they earn for your lifetime! So yeah even if you refer 10 friends, and they make as low as $50 each every month, you’re looking at $100 every month, without working a second! Monetize Blog Comments: – Well yeah you not on WordPress? Shorte.st understands your situation on Blogger, and thus it let’s you turn your whole commentbox into a money making machine! Every link in the comment box can be monetized just by copy pasting this one code from shorte.st on your website template! And hey guess what it doesn’t affect the site in any freaking way! Shorte.st pays a lot of money, just for shortening URL’s. And it doesn’t even need you to have a website! And their advanced website tools and High commission rates make it all the way easy for you to make some extra bucks off the internet, if you still can name me an excuse for not signing up on Shorte.st, Salutes to you. Got none? Then go along and Signup at Shorte.st right now! Previous article Must Have Gadgets Of 2016 !